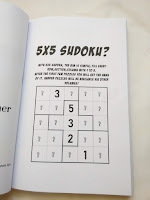 It's been over one hundred years since the first 9x9 magic square puzzles started to be published in newspapers, though the name Sudoku has been in use for just about 30 years. Countless variations have been invented and refined - some crazy difficult, others much more accessible to the masses. 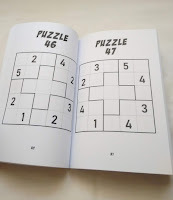 The Sudoku variation I've discovered recently is definitely for the more casual puzzle aficionado, but can still offer some challenge for the seasoned puzzler. 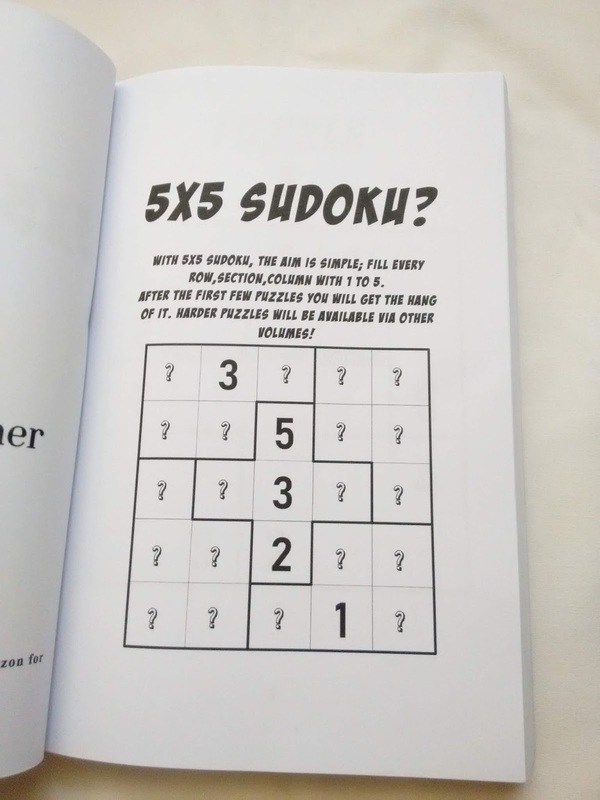 5x5 Sudoku is just like what its name suggests. Unlike a classic grid of 9x9 cells, this new variation has a length of only 5x5 cells. The grid is divided into five subsections, or regions, with a central cross, resulting in a visually appealing symmetry. 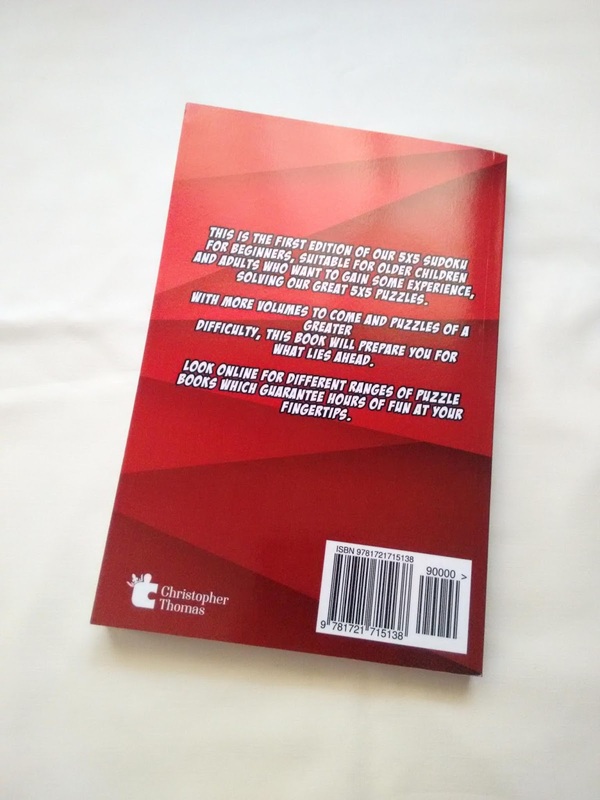 The paperback book, authored by Christopher Thomas, is nicely presented with 200 puzzles, each page containing one single large square with a puzzle. 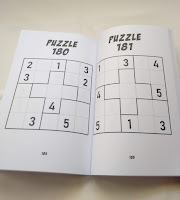 However, with a more economical approach, the book could've easily featured 800 puzzles in it. A suggestion for later volumes in the series. I can understand the design choice, though, as you are able to concentrate easily on one puzzle at a time. As this is the first of several planned books, you'll start slow and easy. Expect a higher challenge in the coming volumes. 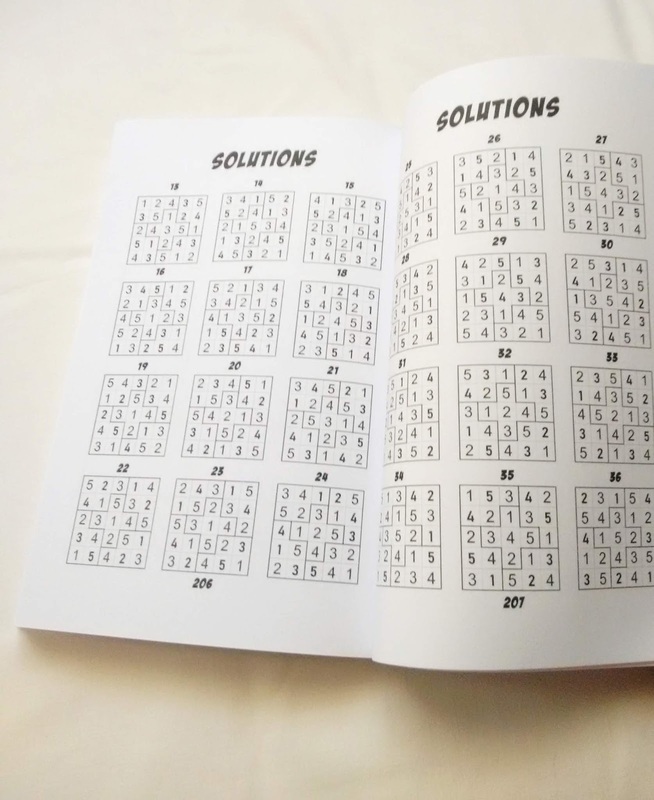 Solutions for each puzzle are provided at the end of the book. 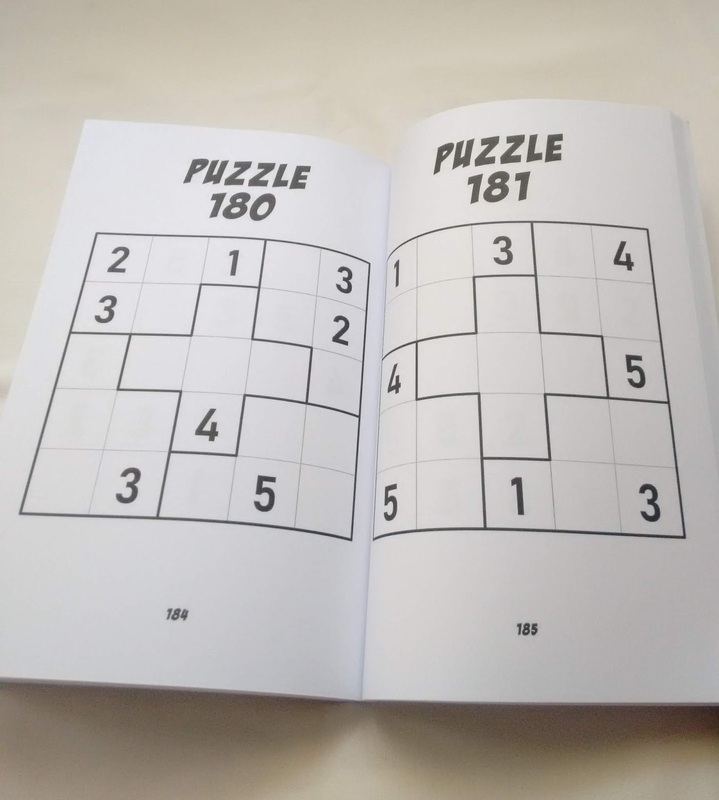 Like any other Sudoku puzzle, you start with a partially completed grid with eight numbers neatly and sparsely placed on the grid. A well-trained eye will surely notice the well planned symmetry of the starting numbers, as if a beautiful mathematical dance was being carried on between the puzzle and the solver. 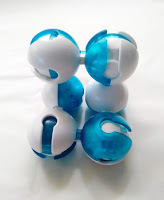 Only one solution per puzzle is possible. I have no specific strategies to solve a Sudoku puzzle. But then again, I'm a casual when it comes to Sudoku. I like to take my time and discover how to solve the puzzle on my own without thinking too much about special tactics and strategies. I've been playing it for years, and that's how I intend to keep doing it. 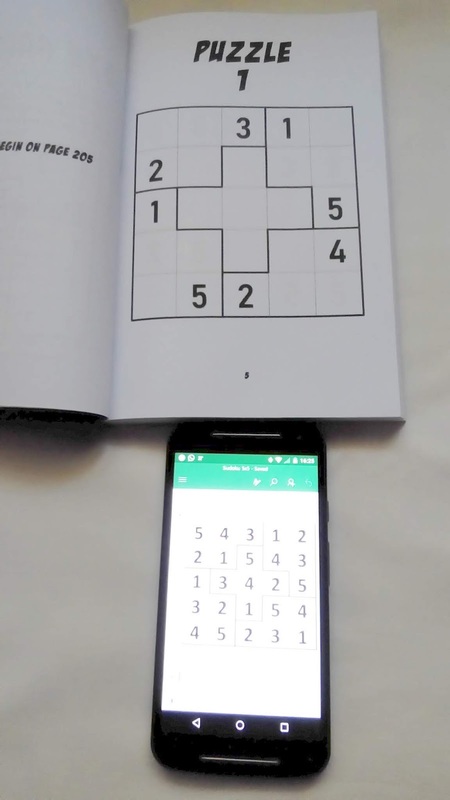 I was pleasantly surprised by this new Sudoku variation. It's a simple and yet addicting puzzle, great for a short break from your daily life. If you like the classic Sudoku, you're gonna love the 5x5 Sudoku. Can't wait for the next volumes. 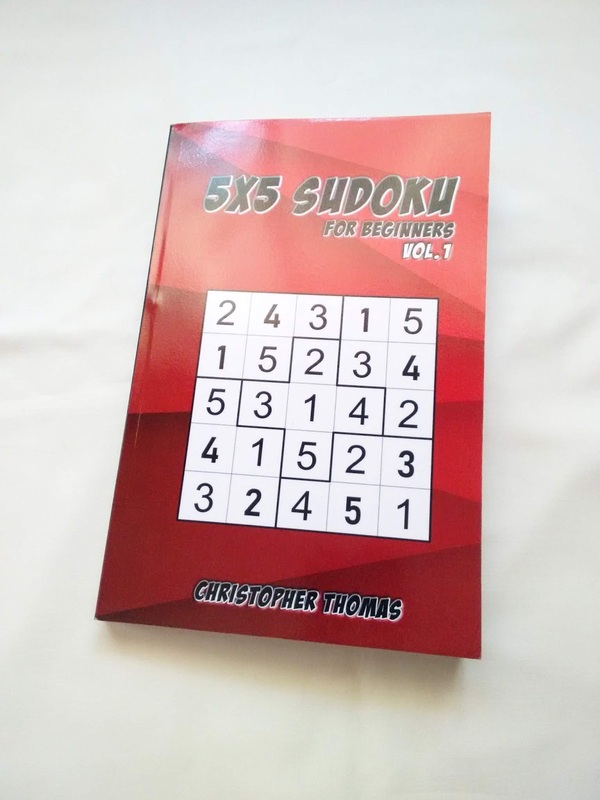 Availability: You can find the 5x5 Sudoku vol.1 on Amazon for just £6.99. If there's one thing that most of us find fascinating and intriguing at the same time, is magnets. One way or another we marveled at how two seemingly uninteresting objects can attract or repel by way of an invisible force. How can a small object have so much force that it can easily win gravity, the force that keeps all things on Earth from falling into space? This fascination transcends all age groups, and whether you're 4 or 104, the "attraction" we feel by this subject won't get weaker as we age. 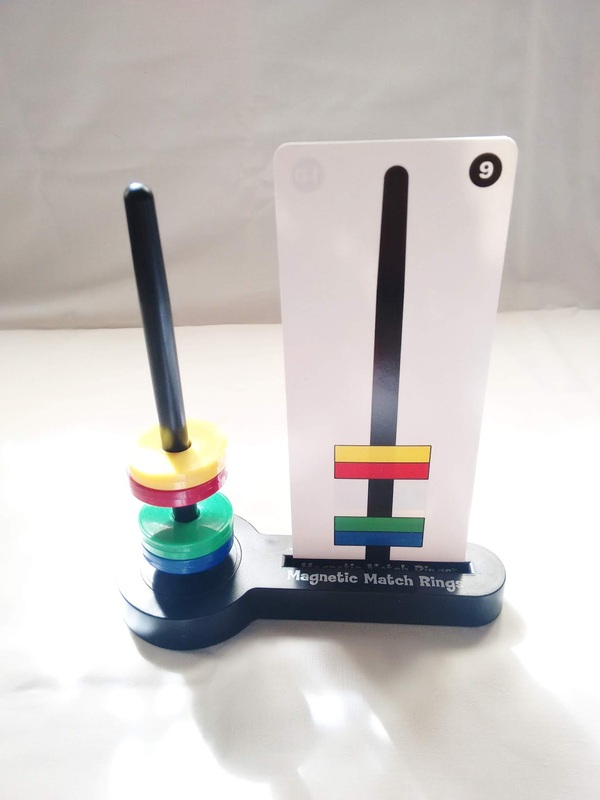 Thinking about this topic, Popular Playthings created a game that shows us how fun playing with magnets really is. Packed with 40 different challenges, Magnetic Match Rings is an educational tool that teaches how magnets work, but also how to manipulate them in order to show a specific pattern, improving hand-eye coordination and visual matching skills. 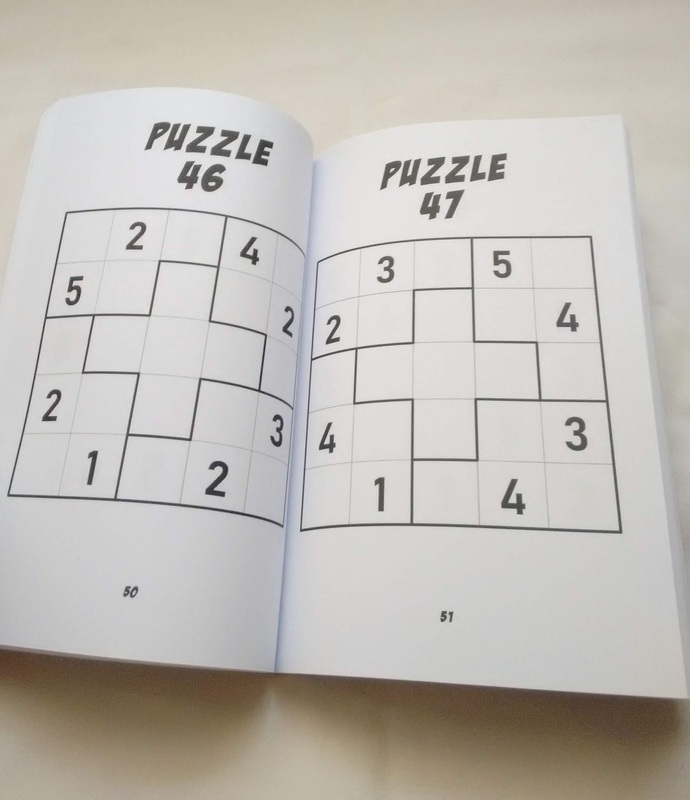 If you're a seasoned puzzler and you're looking for a challenge, this is not for you, though. There's no actual difficulty here, just plain science. The game is rated as a difficulty level 7/10, but to be honest, I don't know how it can even have a difficulty rating. 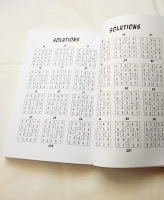 In order to solve any of the 40 challenges you always have a 50/50 change of getting it right. If the rings are not snapping together, they will absolutely repel each other. There's no other possible outcome. 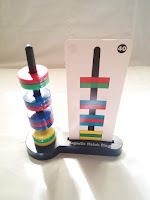 This is supposed to be a fun and educational game, not a puzzle. That's why I don't agree at all with the rating. If you approach it with the correct mindset, you're in for a treat. Otherwise, you're going to be disappointed. With the rating out of the way, let's get snapping. 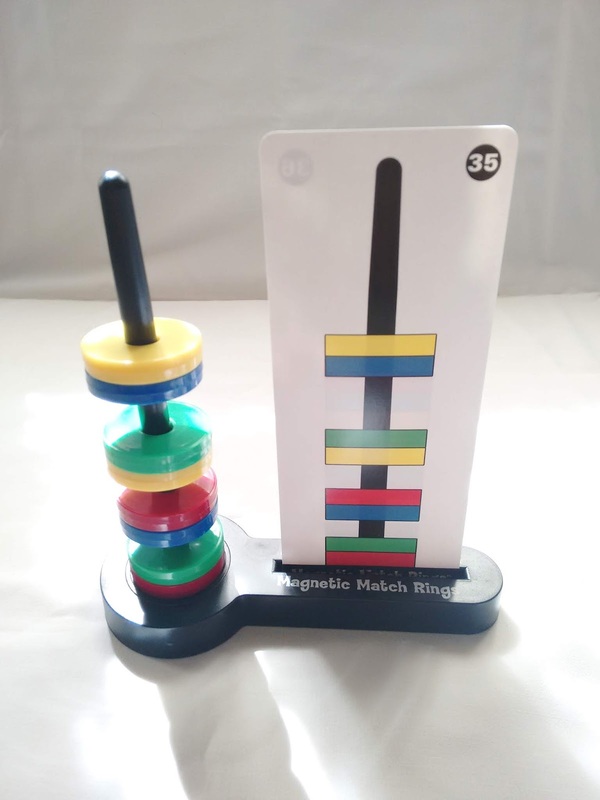 The game features 10 colorful ring magnets and a stand with a post that helps keep the rings in place when stacking them. Just choose one of the 40 challenges and start stacking. 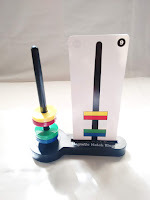 If the magnets attract, they're going to snap together as a unique object. 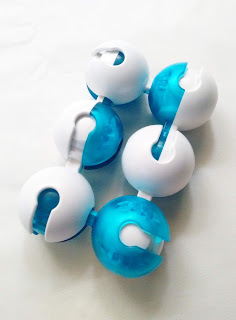 But, if they repel each other, they will produce a nice effect, as they will float above the other magnets. You can also try to create your own patterns, since the possibilities are way more than just 40. 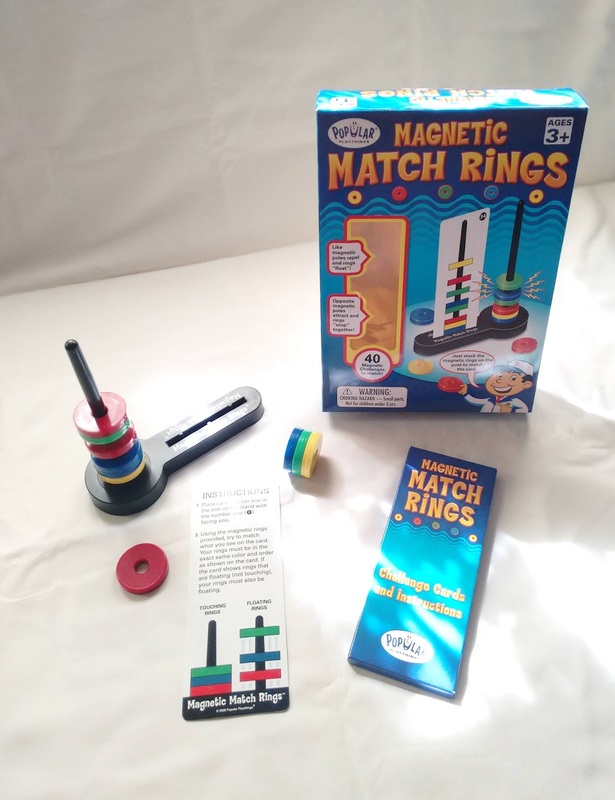 The Magnetic Match Rings game is a nice and fun way to play with magnets. 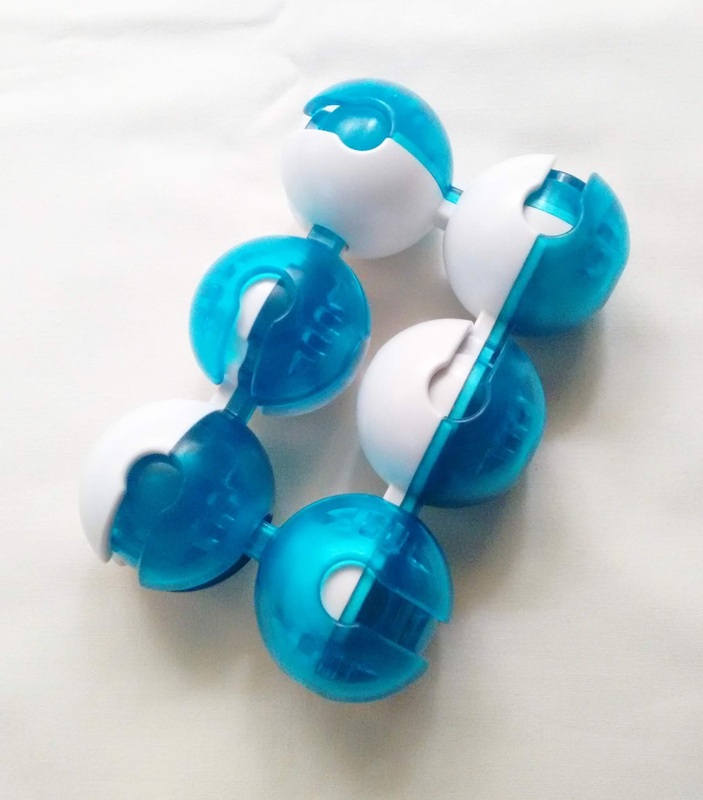 There are a lot of magnet gadgets on the market today, but this is the first time I've seen one like this. And it definitely deserves your attention. Just don't expect to get challenged by it and you'll have a great time. It's just a fun game to play with. 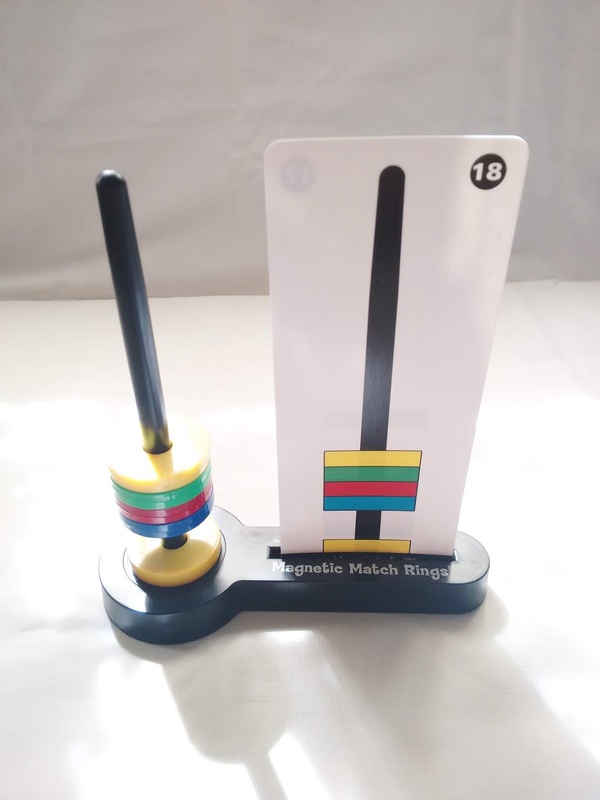 Availability: You can get a copy of the Magnetic Match Rings at PuzzleMaster for just $16.99 CAD. 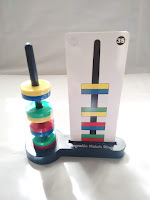 Check out other interesting games by Popular Playthings.